OHV Ambassadors and AZXC is leading a Crown King Run on October 28th, this is an opportunity for us to show others, the trail. 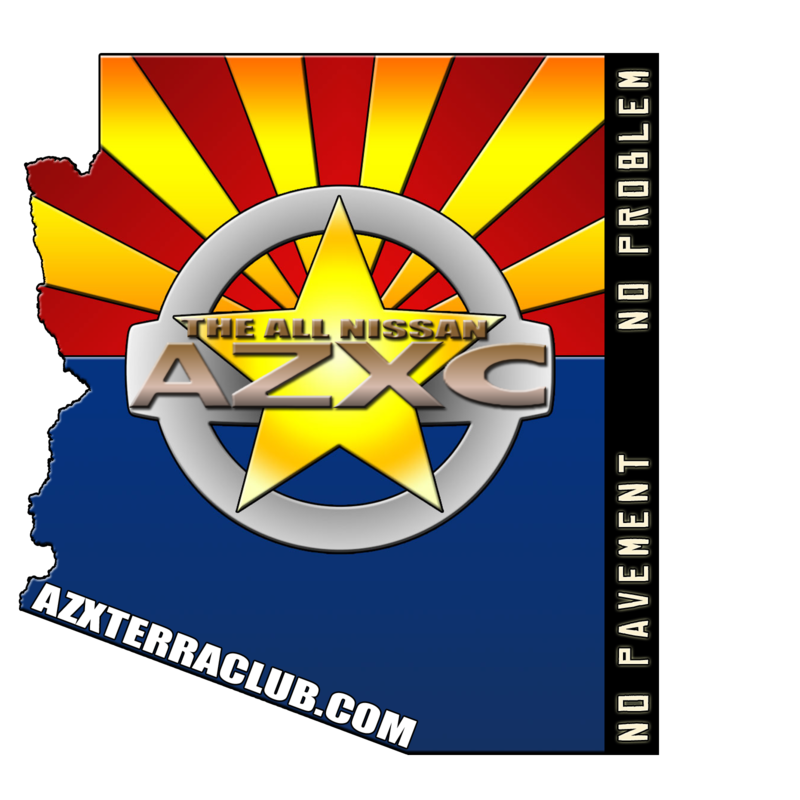 We'd like to invite those who have never done it, and those who are not Nissan or AZXC. If you know someone who would like to make it out, please invite them on our Facebook page. Directions to the Bradshaw Mountains OHV Staging Area— Driving west on SR74 Carefree Hwy, turn north on Castle Hot Springs Rd toward Lake Pleasant at mile marker 17.5. Follow Castle Hot Springs Road to the end of the pavement. Continue on dirt 3 miles and turn right at Cow Creek Rd. Drive 2 miles on Cow Creek Rd to the kiosk board on the right. Newly official members of the OHV Ambassadors; Xena (Adie) and Pitsnipe (Kyle) are encouraged to attend if they can, but if they can not make it I'd like to get the commitment of a few AZXC members who are also familiar with the trail. Since this is an OHV Ambassadors event this will shared by Arizona State Parks, Arizona BLM and maybe some other land management offices so we hope to see new faces. Definitely interested. How tough is the trail though? Some places had it listed as a red/difficult - is that accurate? It's not tough at all but depending on the weather and traffic it can be a long day. It helps to have 4wd, and some clearance above stock. Anyone else going to make it? I'm planning to be there well before 9am. 90% chance of the Swislows being there..
Thabks to Rob, Dan, and George for coming out making this joint trip with AZXC and the OHV Program. We had three Wranglers along with our four X's. The trip was pretty smooth until we ran into more oncoming traffic than usual. We all made it and everyone had fun. Thanks again for your support.